“I have always had a heart for adoption. I told my parents when I was four years old that I would adopt. I was drawn to adoption my whole life and knew that is how I would grow my family. My husband and I met through eHarmony in May of 2010. I was living in Boston, MA and he was living in Knoxville, TN (where I was from). I was going to be moving back so we spoke via email, Skype, and phone for 2 months before meeting in July of 2010 in KNOXVILLE, when I moved back home. I learned that Matt could not have kids when we told me during our first interaction on eHarmony. He learned he could not have kids two years prior when he was with his previous fiancée, who left him because he could not have any biological children. His dream was to become a father and he thought that dream had vanished before I talked to him about adoption and foster care. A few months after we were married, we started the process to become foster parents. We knew adoption was expensive and the wait could be long, so we opted to foster children while we waited to adopt. We also knew a young mom who had a 5-month-old that was needing help, so we kept him for her occasionally, so we felt like we were prepared to foster. We were open to children 0-5 years old but were selfishly wanting an infant. The first call we received was for three girls under 3 with one of them being an infant. We said yes, but they end up placing them with another family. The second call we received was for a brother and sister who were 4 and 2. They were soon to be legally free to be adopted. We said yes and after 6 weeks of transitioning our son and daughter moved in. We thought older children would be easier as they would sleep and were more independent. Boy were we wrong! Becoming an instant family was hard! It took a lot of work. I thought about giving up several times, but it my heart I knew these children were ours. We finalized the adoption after 6 months. We then took 8 months off from fostering to bond with our children. During this time, the little baby we had been watching started staying with us for longer periods of time, so we were often a family of 5. 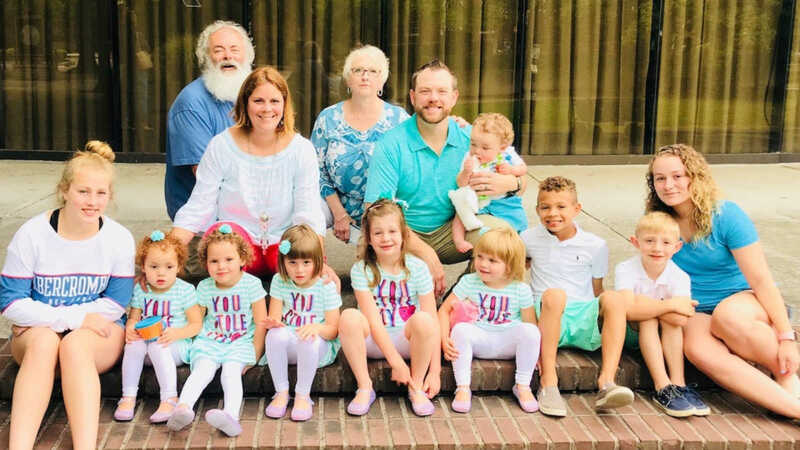 The night before we were set to move to our bigger home, we received a call to foster a sibling set of two who were 4 and 2 so we now were going to have 5 children 5 and under. These children stayed with us for 3 months before unexpectedly going to relatives in another state. It was a shock to lose the children within hours of their court date, so we decided to put our home on hold while we healed from the loss of the children. I jokingly told our foster care worker that we would only accept an infant girl during our ‘hold.’ Two weeks later she called with a 3-week-old girl. We immediately said yes. The first time, I met the birth mother at the visitation I felt a love for her. I just knew we were meant to cross paths so when DCS recommended we do phone calls to update the biological parents about the child on a weekly basis I said okay. Those phone calls brought us so much closer. When our little girl was three months old, the bio mom found out she was pregnant again. I knew this baby girl would be ours as well, but I wanted bio mom to succeed if at all possible. I worked hard to help her, but she ended up deciding it was best to surrender her daughter. We adopted the summer before the second baby was to be born. When baby #2 was born I brought our daughter and the rest of our family to the hospital. We celebrated with the birth family, but DCS ended up removing the baby from the bio mom’s care before she was released from the hospital. The biological mom called me in tears and begged me to take her daughter. I, of course, agreed. After several months, bio mom decided she wanted to surrender this child to us as well. We adopted her second daughter when she was 10 months old. In 2016, we were officially a family with four adopted children. We kept fostering and had over 50 children in and out of our home. We got a call about another proadaptive child who was residing in the same foster home as our first two children had been before they were placed with us. We felt a call to adopt this child as well. During the 6-week transition period, we found out she was actually the half-sister to our first adopted daughter, so it made the situation even sweeter. Two months later, we had to file for guardianship of the little boy we had cared for since he was 5 months old who was now 5 and his sister who was 18 months old. We received permanent custody of them, so it made us a family of 7. That same year, we found out the biological mom to our second and third children was pregnant again and this time with a boy. I again, had a feeling that this baby might be ours. The odds were stacked against us though. 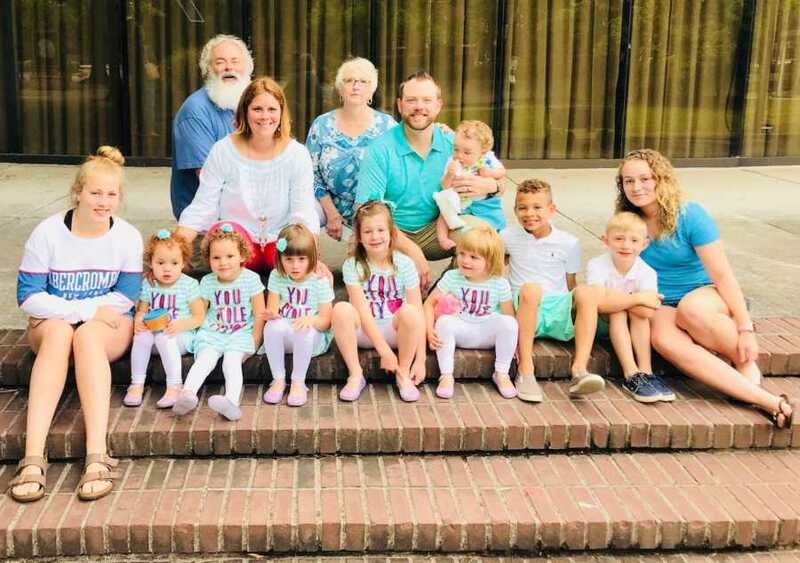 My husband was not fully on board for 8 children, DCS does not allow more than 5 children in a home and we already had seven (stretching the rules), and we did not see how we would manage. Again, I wanted bio mom to succeed. I tried to help her. The little boy was born. We all went to the hospital. I cried so much because I knew I would not be able to bring this little guy home. My friend stepped up to the plate to take him, so I would know where he was, but DCS ended up saying she could not take him. He ended up in foster care and I cried and cried. I was not sure what type of home he would end up in. Would they let us see him? He was the full-blooded brother to my adopted children. I needed to know he would be okay. A few days later I found out he was placed with a pre-adoptive family I did know. I was so relieved. At least he was safe and would be happy with them. At the same time, we received temporary custody from CPS of an infant who was related to the children I had guardianship of until their relative could come forward for them. We had the little boy for three months before he was placed in his relative’s custody. 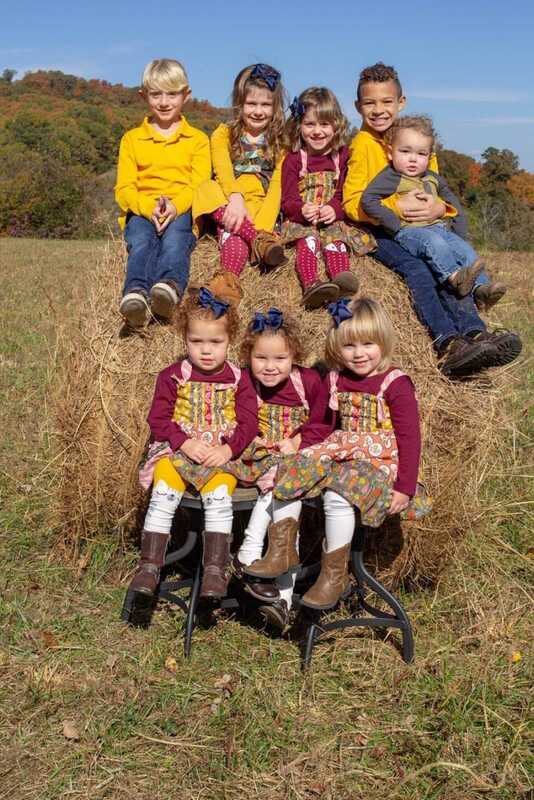 During that time, my husband agreed we could manage 8 children. We also found out that the foster parents to the brother of my children would not be adopting him. I had thought about him, prayed for him, and yearned for him for three months. I knew he was to be my son. Miraculously, DCS agreed to place him with us the day before Christmas in 2017. We adopted him in the summer of 2018. 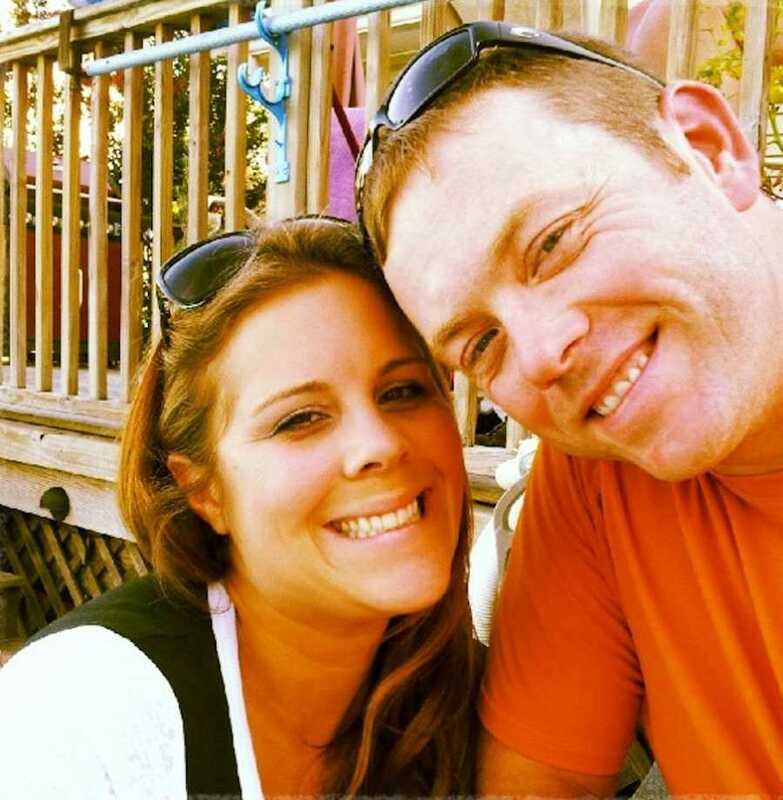 This story was submitted to Love What Matters by Chante Hensley, 33, of Tennessee. Do you have a similar experience? We’d love to hear your journey. Submit your own story here, and subscribe to our best stories in our free newsletter here.